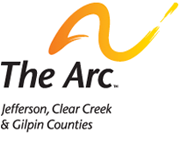 The Arc - Jefferson, Clear Creek & Gilpin Counties : Resources : What is an Intellectual or Developmental Disability? These limitations affect the person’s everyday activities and social and conceptual skills. Many people with intellectual disabilities are mildly affected; this makes the disability hard to notice with visual cues alone. Intellectual disability is diagnosed through standardized tests of intelligence and adaptive behavior. Many children receive a diagnosis or learning disability, developmental delay, behavior disorder, or autism instead of the intellectual disability. This makes it challenging to determine how many individuals have intellectual disabilities. With support from family, friends and organizations like The Arc, over time many adults with intellectual disabilities can live independent, dynamic lives in their community. How is intellectual functioning defined? Intelligence refers to general mental capability. Intelligence involves the ability to reason, plan, solve problems, think abstractly and critically, comprehend complex ideas, learn rapidly, and learn from previous experiences. Intelligence is represented by Intelligent Quotient (IQ) score. This score is obtained from standardized tests given by trained professionals. Intellectual disability is believed to be present if an individual has an IQ score of 70 or below. What is meant by adaptive behavior? Adaptive behavior means behaviors and related skills needed for people to live independently and function safely in daily life. These behaviors include, but are not limited to: grooming, dressing, behaving safely in the home and community, following rules, managing money, making friends and taking responsibility for one’s actions. What type of assessments are used in Colorado to determine DD? Colorado most commonly uses both the Wechsler intelligence Scale and the Stanford-Binet Intelligence Scale as assessments of IQ, although other comparable norm-referenced, standardized assessments for general intellectual functioning are used. The test must be administered by a licensed clinical psychologist or a school psychologist. To assess adaptive behavior, the state has identified the Vineland Scales of Adaptive Behavior as an accepted form of measurement. The Vineland Scale assesses skill areas including: Communication, Activities of Daily Living, and Socialization. This assessment also measures Motor Skills and Maladaptive Behavior. Other assessments of adaptive behavior similar to the Vineland Scales may be used as well. Adaptive behavior assessments must be administered by a licensed professional. What is the difference between intellectual and developmental disability? The major differences are in the age of onset, the severity of limitations, and the fact that the intellectual disability definitions rely on an IQ requirement. Many individuals with an intellectual disability also fit in the developmental disability definition. However they will not meet the functional limitation requirement in the DD definition.